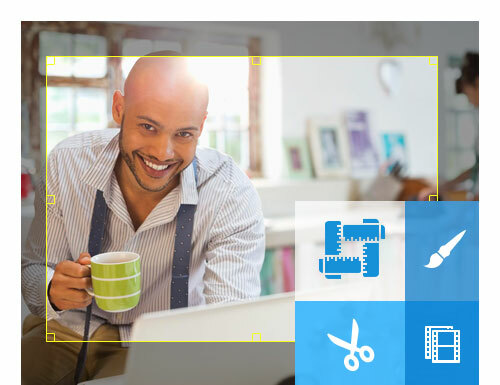 Tipard Photo Slideshow Maker, the best photo or picture Slideshow Maker software, allows you to create wonderful photo slideshow video from photo album for you to enjoy on any mobile devices and share online. 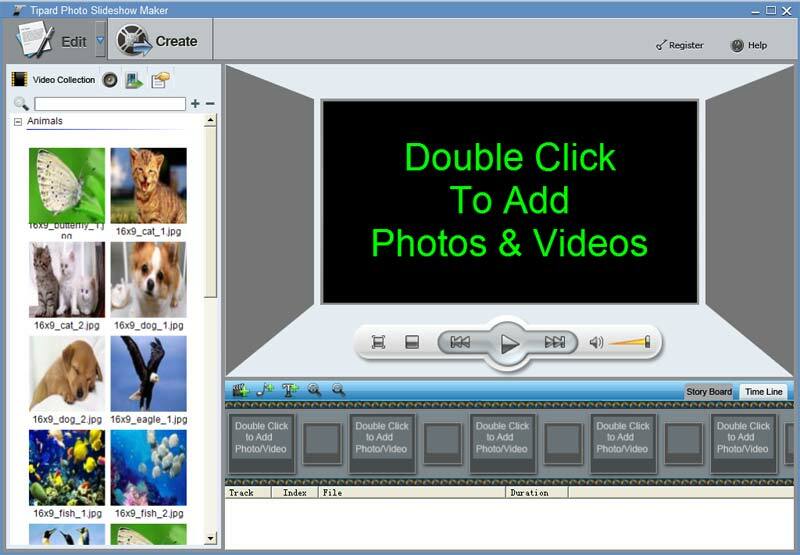 Moreover, this Photo Slideshow Maker can also create slideshow video from any source video and background music files connected by numerous transition effects. 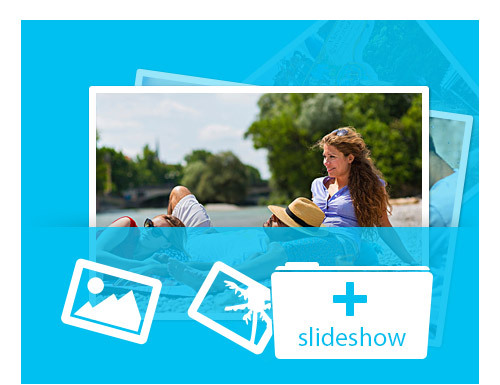 Any video/audio/image formats are accepted by this slideshow maker. 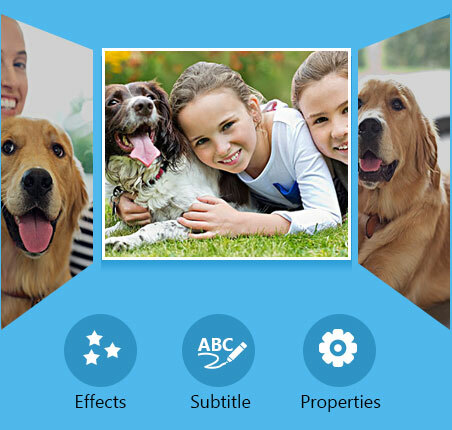 The output video/audio can also be all the popular formats like MP4, AVI, FLV, SWF, MP3, AAC, etc. Tipard Photo Slideshow Maker can edit any photo album to slideshow builder and create slideshow presentation. 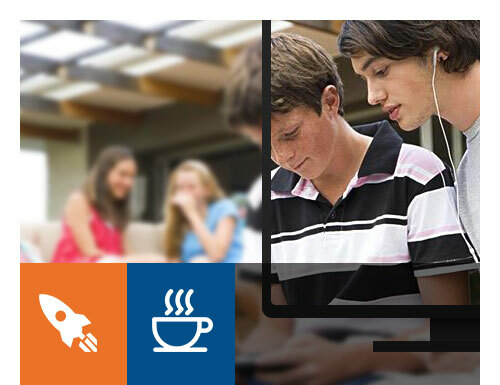 This Slideshow Maker can also import video sources and music background with any video/audio formats. Add build-in transition effect between individual source clips. Directly write in text contents that you want to use as subtitle in any place, any form and set the exact time. Once you add files, the relative property list will be displayed for you to adjust: trim the exact clips for you adding to slideshow project, crop the output play region and adjust the output visual/aural effect. This collection contains numerous pre-set photo/audio resources listed by the categories. Moreover, you can manage the collections to add new category, delete category and materials. For you easily managing slideshow project, Tipard Slideshow Maker allows you to directly drag your local files and video/audio collections to the desired position in the project. Directly drag the files or timeline to change the order or exact display time. Total Media Converter to convert any popular DVD/video format. DPG Converter to convert video to DPG format.